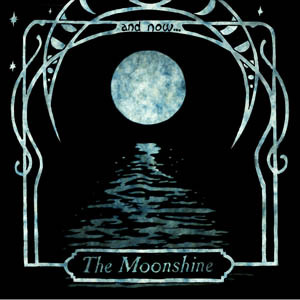 The Moonshine are from Portland, Oregon but they may as well be from the Appalachian mountains as their music is a vibrant mix of Folk, Country and traditional American music that sounds both olden and contemporary all at once. There has been a resurgence of this type of music thanks to acts like Mumford & Sons, The Lumineers and The Avett Brothers among others with each of those acts bringing something different to the table. Such is the case with The Moonshine and their album And Now… which has been released here in 2014. The Moonshine are a five piece band with two male and three female members and a very interesting approach to their craft. The music is open, honest and free of pretense which is a very good thing. In fact, the album was recorded live in the studio in just two days and retains a freshness as though the listener was in the room with the musicians as they recorded these 8 songs. “Never Know”, “Hang Me Out”, “Shadow Song” and “Solid Gone” are wonderful examples of what The Moonshine are all about. 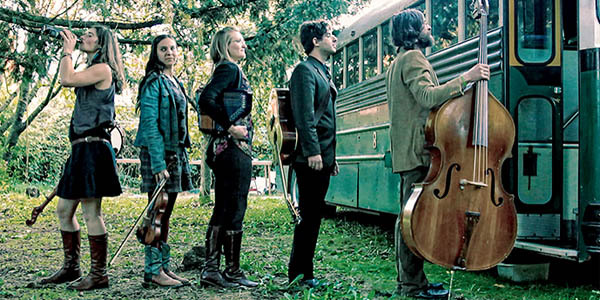 Vocal harmonies blend in and out, and acoustic guitars and banjos duel with fiddle, autoharp and upright bass. It’s as authentic as it gets my friends (where’s the washtub and zither - just kidding). While some of the songs tend to blend into one another, that does not mean each track isn’t enjoyable because indeed they are. In fact, the songs breeze by quickly and fluidly and never stick around too long. It’s also good to see some slightly darker sounds on board as the excellent closer “Enough” proves. The lyrics and vocals of Michael Gerard Levassuer are thought provoking and highly intelligent. 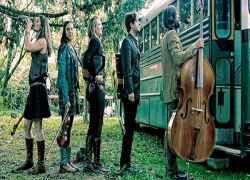 The Moonshine and their new album And Now… are proof positive that intelligent, interesting music rooted in tradition still very much exists and can reach an audience. So, do yourself a favor and explore this album and this truly unique band. Thank you so much for the kind, thoughtful review! I actually did grow up in Appalachia, in South Carolina to be exact. So, a lot of what you hear is rooted in the traditions that came out of the South. So glad you noticed! Thanks again, and keep up the good work. Y’all have a great site here!